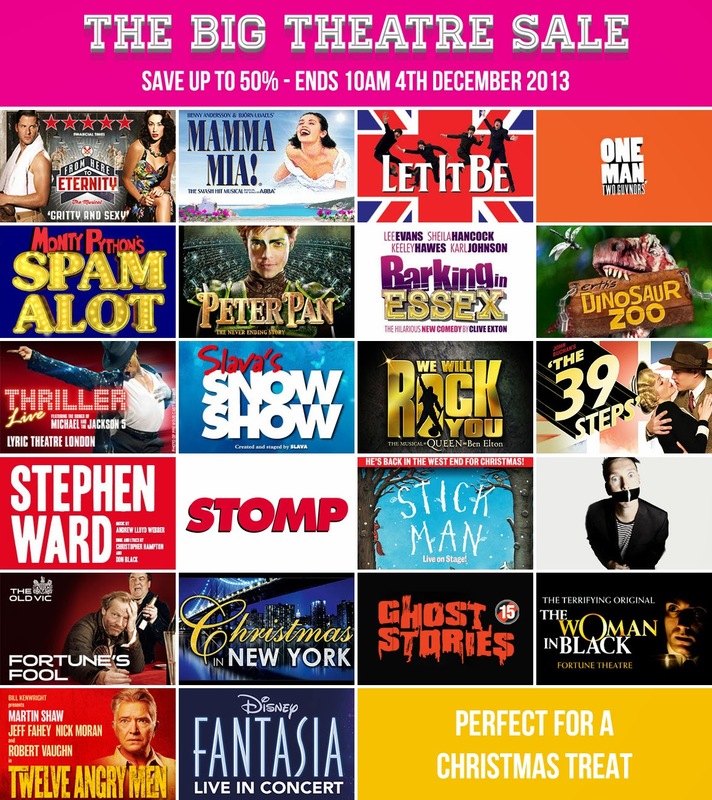 THE BIG THEATRE SALE is now on...with up to a massive 50% off some top West End shows! Share this offer with your Twitter followers and be in with the chance of winning a £50 theatre token! Simply RT using this link before 8pm Tuesday 3rd December 2013. Winner will be contacted via twitter shortly after.